November 2018 – TermSync, Inc. Here is your November newsletter. As usual, we have exciting new enhancements and upcoming events to share with you. The Best Practices for Engaging Customers Through AutoPay Consult-a-Pro was a great success! Thanks to those who attended. A big thanks to Jana Sherlock of LinPepCo for sharing her industry knowledge. Click here for the recording. Of course, we always like to share great news. The AutoPay contest in Esker All Access has been extended, with the final day being Thursday, Nov. 15th. The company that signs up the most customers for AutoPay through TermSync will be treated with a catered lunch on Esker. For companies that sign up at least 20 customers, you’ll be eligible for a grand prize drawing PLUS points through Esker All Access that you can redeem for your own choice of reward. We hope you all keep participating and use some of the best practices you learned to encourage your customers to sign up! Don't have an Esker All Access account? Sign up here. 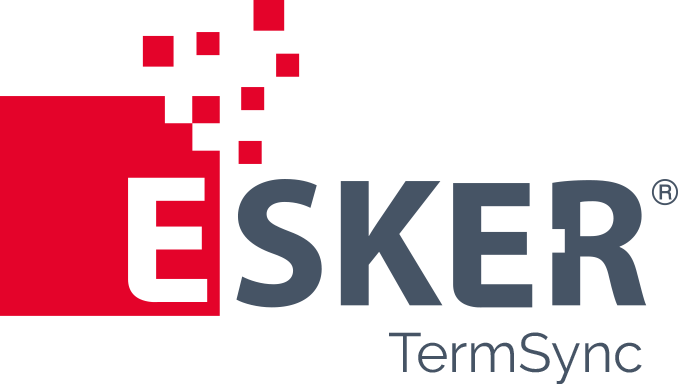 It’s a great platform to get the inside scoop on all things Esker-related and connect with other users. Each team member can set up an account. Invoices scheduled for payment through TermSync are treated with 100 percent probability of being paid on the scheduled pay date. Accurate collections forecasting allows your company to make more educated financial decisions with a better understanding of your company's potential cash resources. To access this useful report today, navigate to Reports and select Collections Forecast in the drop-down menu. Are you manually assigning a customer to a Collection Group in TermSync? If so, this new enhancement will speed up the process. You are now able to bulk assign customers to a Collection Group. No more performing this task one at a time! Click here for the FAQ how-to. Please Note: If you are assigning your customers to specific Collection Groups on any of your daily data files, then you should continue using this process for organizing these groups. Do you manually send Payment Reminders to your customers? If so, this applies to you. You are now able to select the Next Promise to Pay Date and Next Promise to Pay Amount as available columns. This new visibility allows you to easily identify opportunities for follow-ups in addition to what was set during the initial Promise to Pay contact. Are you taking advantage of the Account Statement PDF that you are able to customize in TermSync? This is a document your customers can access 24/7 from their online customer portal, and it can be delivered by email based on your preferred timing to ensure your customers have what they need in their inbox. The Account Statement PDF has recently been updated to include an available credits table. It will be located just below the invoice table on the Payment Stub section. It provides visibility to the credits available, allowing your customers to select those they want to apply along with the invoices they wish to pay when mailing in a check. Interested in delivering monthly account statements to your customers by email? Please reach out to your Account Manager for more information on this automated service available in TermSync. Customer Categories can be manually created and then associated via a bulk action in TermSync. Now we offer the option to send Customer Categories on the Customer Contact file. Save time and automate this process! You might be asking, "What is the difference between Collection Groups and Customer Categories?" Collection Groups are classified as a Customer Category where you can set your preferences in regards to Call Log Rules and Payment Reminders. This is an important piece of your Collection Strategy. Sorting your customers into other Customer Categories allows you to enhance your collection efforts. You can send bulk messages, filter and report based on the categories you create. A single customer can belong to only one Collection Group. There is no such restriction for Customer Categories. For example, creating a Payer Rating Category and using this in your Collection Calls Needed to prioritize whom to contact first based on their rating. Or in the Customer or Invoice Listing, message customers with a payer rating of Poor and Very Poor to sign up for AutoPay. Click here for Customer Contact File Requirements. Click here for more information on Customer Categories. Do you want a review of your Collection Strategy or want to learn how to use Customer Categories? If so, please reach out to your Account Manager. The button has been added to all customer-facing emails. The customer will simply click the link, enter their email address, and land directly into the AutoPay sign-up page. Anyone currently on AutoPay will not see the button. Click here to learn how to introduce your customers to AutoPay. You can now designate invoices that should not be paid via AutoPay. These invoices can be sent over as a Custom Field on your Open AR file. This flexibility will allow payers to sign up for AutoPay that were previously restricted by a certain type of invoice while lowering your DSO in the process. If you have any questions, please reach out to your Account Manager. When sending a message to a customer, your email address options are populated based on the existing contacts in TermSync. Soon, you'll be able to add a new contact on the fly, which will be convenient if you are on a call with a new contact and need to send them a link to the Customer Portal. Their information will be saved in TermSync. If you are sending a Customer Contacts file over, anything added will not be over-written. Easily identify a call made that contains a needed follow-up call. Access the Log a Call page with one click from Collection Calls Needed. Ability to delay/suspend a Payment Reminder while logging a call. Organize the Collection Calls Needed page by reason for contact. Thanks for being fantastic customers! Don't forget to review the Consult-a-Pro webinar recording.